If you're planning to get pregnant, we've got advice on ways to boost your fertility, how to tell when you're ovulating, identifying possible problems that may be preventing you from conceiving, fertility treatments and more. Our pages are based on the issues that recur on the Conception and Infertility Talk forums. For advice and support if you're trying to conceive, join the conversation. Worrying because you're not pregnant yet? Find out which factors can affect how long it takes you to conceive, once you start trying. Going round in circles about cycles? Knowing when you ovulate can improve your chances of getting pregnant. Find out the signs of ovulation to look out for. Is conception taking longer than you thought it would? If you're worried about your or your partner's fertility, find out what could be wrong and when to see your GP for help. If you have fertility problems, there are different ways that science can give nature a helping hand – from medicines to surgical procedures to assisted conception. TTC – it can be a lonely and emotional ride. Get some TLC from other women who know what it's like when getting pregnant isn't going according to plan. Once you've made the decision to try for a baby, there are plenty of things you can do to help get your body and mind into optimum condition – and some things to be aware of. 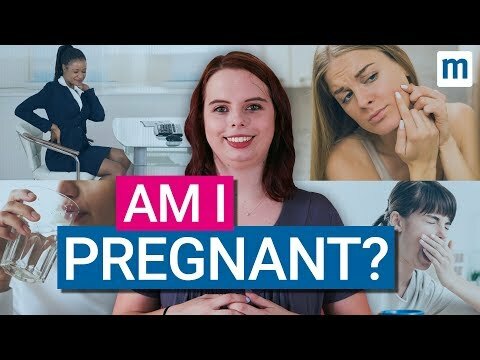 Think you could be pregnant? Read the most common signs and symptoms of pregnancy to find out how many sound familiar. Use our pregnancy calculator to work out your baby's due date, then see what you can expect each week as your pregnancy progresses.